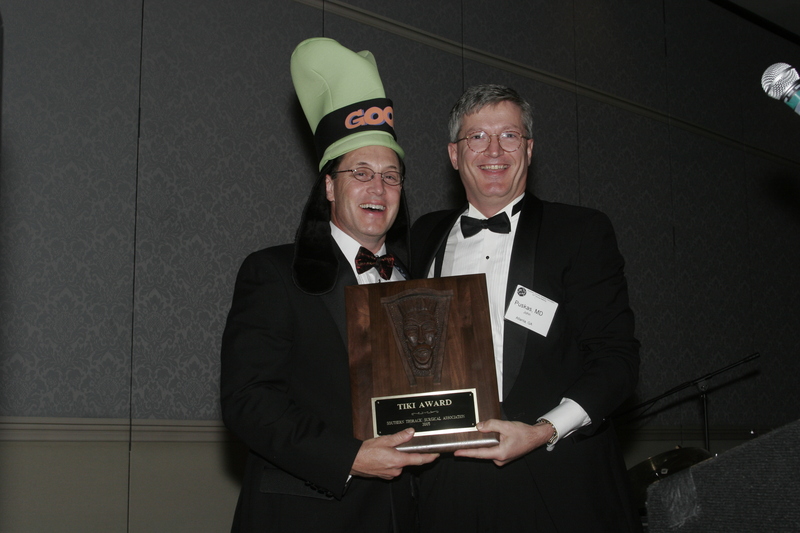 In order to emphasize the importance of well-planned and prepared slides, STSA established the Tiki Award in 1964. This award is given to the person who presents a slide at the Annual Meeting that is judged to be the most memorable and noteworthy. The slide can be selected because it is unintelligible, confusing, cluttered, irrelevant, or conversely because it is superbly clear, concise, colorful, pertinent, and/or utilizes state of the art graphics. The 2015 STSA Tiki Award is en route to Orlando. The 2015 STSA Tiki Award recipient will be announced at the Saturday, Nov. Awards Dinner & Dance. 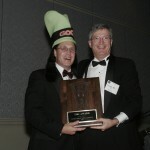 The fifty-second STSA Tiki Award recipient will be announced during the Annual Awards Dinner & Dance on Saturday, Nov. 7. Review a list of past Tiki Award recipients at www.stsa.org/awards. If you haven’t already done so, visit the STSA 62nd Annual Meeting registration desk to purchase your Awards Dinner & Dance tickets. Learn more about the 62nd Annual Meeting at www.stsa.org/62ndannual. 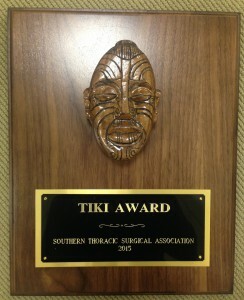 View additional Tiki Award recipient on photos on STSA’s Facebook page. 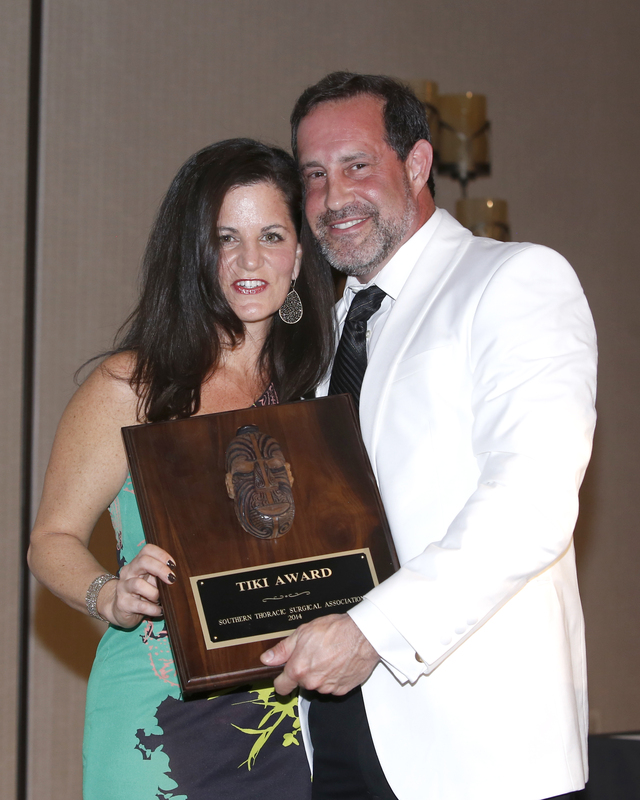 Robert Cerfolio presented Kristine Guleserian with the 2014 Tiki Award during the STSA 61st Annual Meeting. 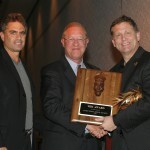 Jeff Jacobs (left) and Keith Naunheim (right) presented Peter Smith (center) with the 2010 Tiki Award at the STSA 57th Annual Meeting. 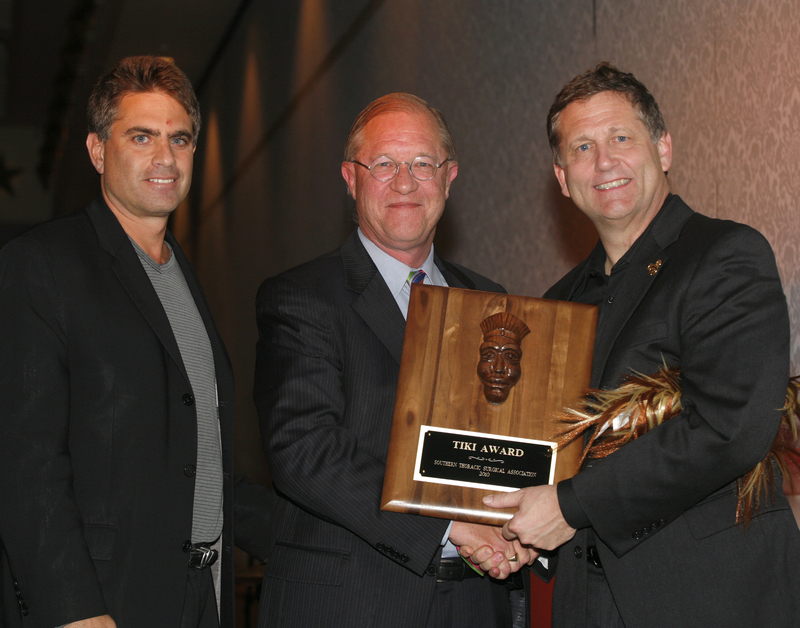 John Puskas (left) presented Kevin Accola with the 2005 Tiki Award at the STSA 52nd Annual Meeting.